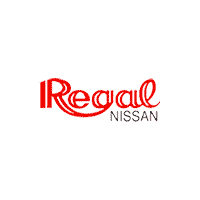 At Regal Nissan we always strive to be the go-to source for all of your automotive needs whether you live in Atlanta, Alpharetta, or right here in Roswell. It all starts with our Service Center that’s totally dedicated to providing exceptional maintenance and repairs in a timely and affordable manner. Believe it when we say that we’ll have your car looking and driving better than ever before. Now, we can’t overstate the importance of routine maintenance when it comes to car for your Nissan car, SUV or truck. After all, it’s the best way to get the most mileage and joy of out of your Nissan vehicle. Of course, you shouldn’t trust your prized vehicle to just any service department when our factory-trained technicians know all the ins and outs of your Nissan. Before your next appointment, don’t forget to browse our rotating selection of service specials to save money without compromising quality or craftsmanship. Then, just take a moment to schedule your next service appointment online and drop off your vehicle at Regal Nissan’s Service Center in Roswell, GA. We’ll take care of the rest! Earn. Redeem. Save. The program that rewards you with every visit. Click Here To See How You Can Save! Cannot combine rewards redemption with any other coupon or special offer. Rewards points can be used for all parts and service except collision center repairs. Redemption of points must be made at time of transaction they cannot be redeemed at a later date. Points are not stackable from purchase to purchase when a vehicle; when a vehicle is purchased they will receive new points for their next purchase.